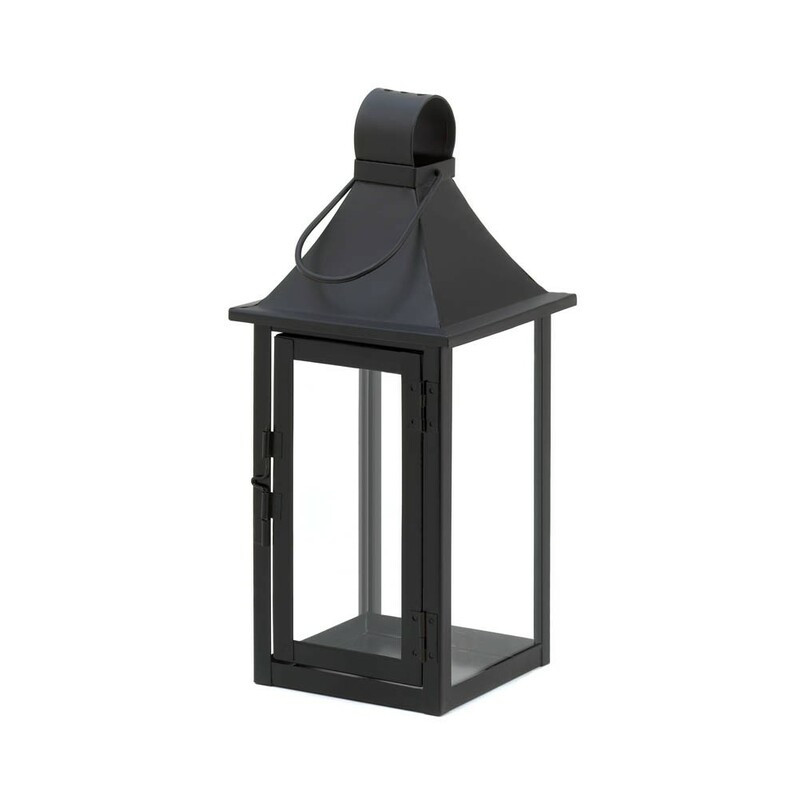 Black iron and clear glass make this classic carriage house style lantern a home accent that you'll love for years to come. 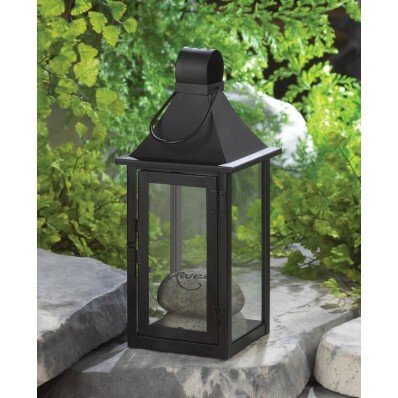 Use indoors or out, and place it on a tabletop or hang it from the top hanging loop. Be creative with what you put it in, doesn't always have to be a candle! 5.00" x 5.00" x 11.75"